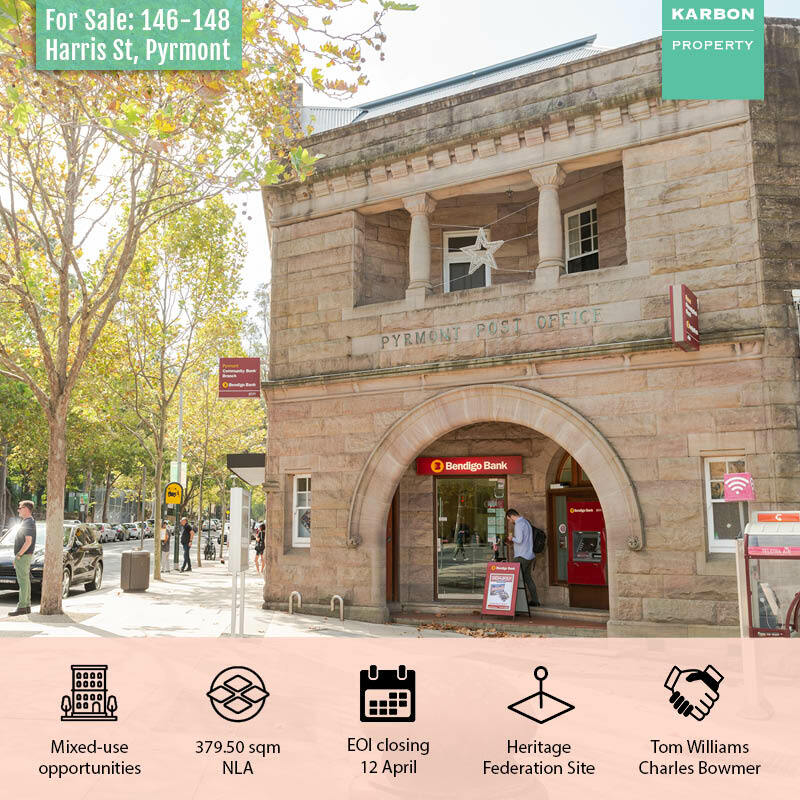 Karbon Property are proud to exclusively offer the former Pyrmont Post Office for sale via Expression of Interest, closing COB 12 April 2019. This 379.5 sqm NLA heritage property sits on a corner block fronting Union Square in creative Pyrmont, featuring a federation design, large rear courtyard, and sandstone exterior. With various suitable uses including residential (STCA) available and sitting tenant Bendigo Bank already raising revenue, this opportunity is not one to be missed. Contact lead agents Tom Williams (0407 901 658) and Charles Bowmer (0478 725 182) for a copy of our property IM, our visit our Real Commercial listing here.